Knight Point Systems is a premier IT services provider for the federal government, handling everything from password recovery to cybersecurity for agencies that are often directly involved with our nation’s defense. Knight Point’s CEO, Bob Eisiminger, leads this $160M, 8-time Inc. 5000 honoree company with the kind of strategic planning that years of military service instilled in him. 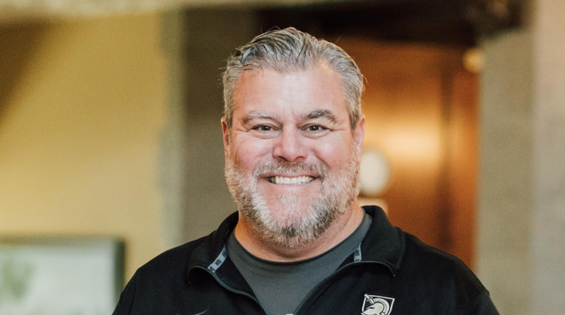 When he realized that outdated recruiting practices were costing his company up to $75,000 a month, along with a host of downrange effects, he launched a campaign to solve the problem. When I last interviewed Bob for this column, he was already six months deep into his mission. He had assembled a core, cross-departmental team to scrutinize their recruiting workflow, find the waste, and get rid of it. That was about a year ago. In that time Bob’s passion has not waned. He and his team continued to spot time and money wasting practices, which due to the nature of their work for the federal government, already involved lengthy security clearance processes that they couldn’t control much. With Bob attending every meeting as a guide and mentor, they set out to change what they could control. In my interview with Jacaruso Enterprises’ CEO Toni Jacaruso, I talked about Management 2.0, the idea of building a team to meet the growing needs of a company. For Bob, the notion was similar. The hiring practices that Knight Point had developed over the course of 12 years was no longer efficient enough to handle the rise in business that they were experiencing, nor the increasingly complex needs of their primary customer. Version 2.0 involved hiring a Recruiting Coordinator, creating a cross-functional team to examine and optimize current practices. Version 3.0 was where a little synergistic magic happened. The taskforce members began to feel empowered to share their more radical ideas, which even culture-conscious Bob admits can be hard to do in a well-established, 400 person company. As a result, they expanded how they hired and opened up to additional recruiters to find the right people for the job. Version 4.0 has been largely about refinement of what they created – re-examining their processes and improving where they found room for it. The results, according to Bob, are nothing short of astonishing. As much as Bob loved watching his company rise to the challenge, he also admits that it wasn’t always fun. As leader, he made it his job to guide, not micromanage. He also felt that as CEO, it was his job to step in and have tough conversations with people when greater accountability was required. As Bob describes it, a CEO’s unique mission for their organization is not only to be in charge, but also to lead the vision of the company, and watch for when operations can be done in a better way. It’s a great way to describe a company’s leadership role. I call it Kill-Watch-Build. Kill outdated practices that are no longer serving the company well. Watch the company operate instead of getting heavily involved in the operations. Build the future of your company. Bob accomplished his goals in exactly the same order, and that’s what a stellar CEO does. I think that he can safely call this mission accomplished, and watch out for the next thing to kill and build up. Bob and his partners set a goal in 2012 to grow Knight Point Systems from a $40M company to a $400M company within the next 10 years. With leadership like Bob’s in place, I’ve no doubt that they’ll call that goal mission accomplished as well. To listen to my full interview with Bob Eisiminger, click here.